Bullying is a daily issue students face in schools all over the world. Unfortunately, it occurs even in private Christian schools. Each and every day, victims suffer from harassment, verbal taunts, threats, intimidation and even instances of coercion or theft. With the use of mobile devices and online social media platforms, the avenues for bullying have widened even further. Students are often subject to cyberbullying that leaves them feeling even more vulnerable and as though they have no safety zone. Adopting anti-bullying policies and providing proper supervision are essential in preventing bullying. However, the very best way to minimize it at your school is to encourage all students to report incidents when they occur. Witnesses to the situation play a crucial role in stopping serious situations from escalating and sometimes even continuing at all. In fact, studies have shown that peer intervention often stops bullying within as little as ten seconds. It’s not always possible to stop bullying immediately, but the encouragement of timely reporting by students and school employees will better enable you to address it as quickly as possible. At Beacon Insurance of Pace, Inc. we have specialized in church insurance for nearly two decades. Further, we have a strong partnership with GuideOne Insurance. This partnership is extremely beneficial because it affords us the ability to offer access to invaluable safety resources that provide our clients with the tools and knowledge they need to address bullying. Key to that is GuideOne’s own partnership with the leading anti-bullying program in the United States, STOPit. STOPit provides access to online tools and a mobile app that allows for the anonymous reporting of bullying and harassment. 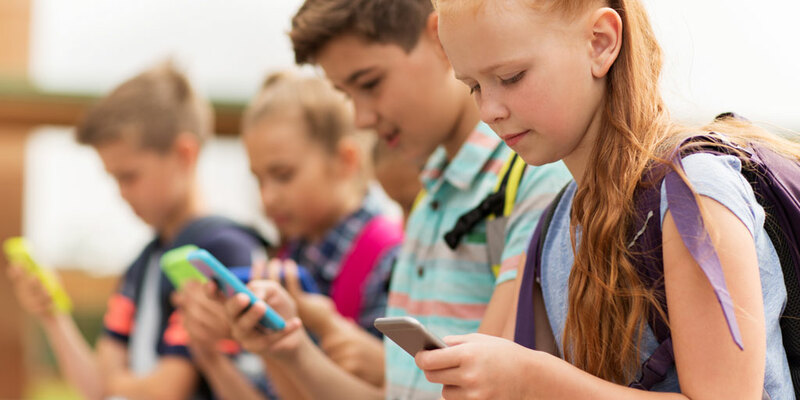 A user-friendly mobile app connected to the STOPit platform instantly gives individuals the ability to connect anonymously with experts who can resolve bullying issues. The app also equips users with a system that supports anonymous two-way communication with incident reporters. In addition, it offers a multitude of tools. These tools save time and help launch effective and efficient investigations of reported incidents. Incident reports are then tracked nationwide and specifically tagged. STOPit offers great benefits to GuideOne customers. While it is not a free a program, GuideOne offes it to clients at a discounted rate. Empowering children to report bullying and to have support when they do has been so beneficial to many who use the program. Intimidation, extortion, physical and verbal attacks are considered to be physical forms of bullying and are typically more common among male students. By contrast, female students show a higher likelihood of engaging in social bullying by excluding someone, starting rumors, manipulating and embarrassing their victims. Bullies fit no specific demographic and come from various cultural, religious and economic backgrounds. The one common factor, however, is that they typically crave power, have sharp tempers, have difficulty following rules, derive satisfaction from inflicting injury, have elevated levels of self-esteem and display a positive outlook on violence. At Beacon, our greatest calling is to illuminate our clients’ path to peace of mind, and we believe that preventing bullying is essential in safeguarding the future of the students in their care. By providing access to GuideOne and STOPit, we are helping them end bullying, one school and one student at a time. Call Beacon Insurance Agency of Pace, Inc. to learn more about GuideOne and how we can help prevent bullying in your school today!